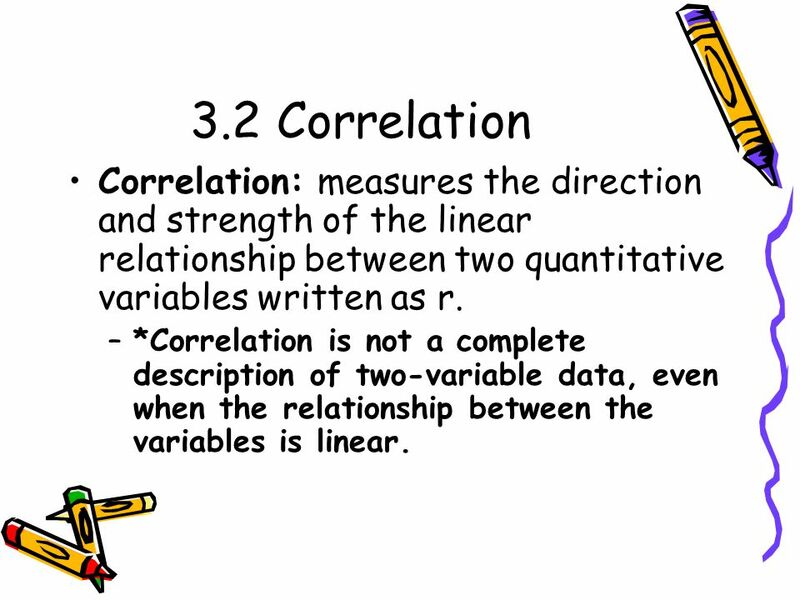 5 3.2 Correlation Correlation: measures the direction and strength of the linear relationship between two quantitative variables written as r. –*Correlation is not a complete description of two-variable data, even when the relationship between the variables is linear. 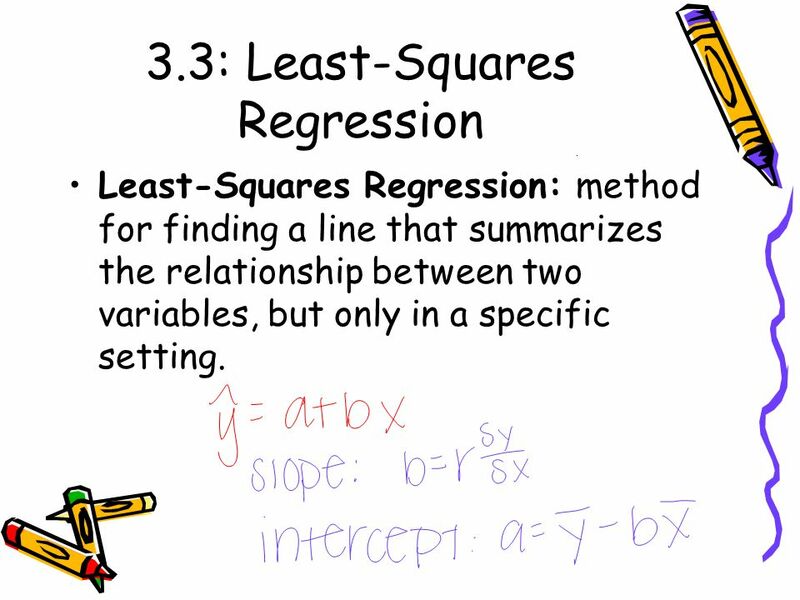 8 3.3: Least-Squares Regression Least-Squares Regression: method for finding a line that summarizes the relationship between two variables, but only in a specific setting. 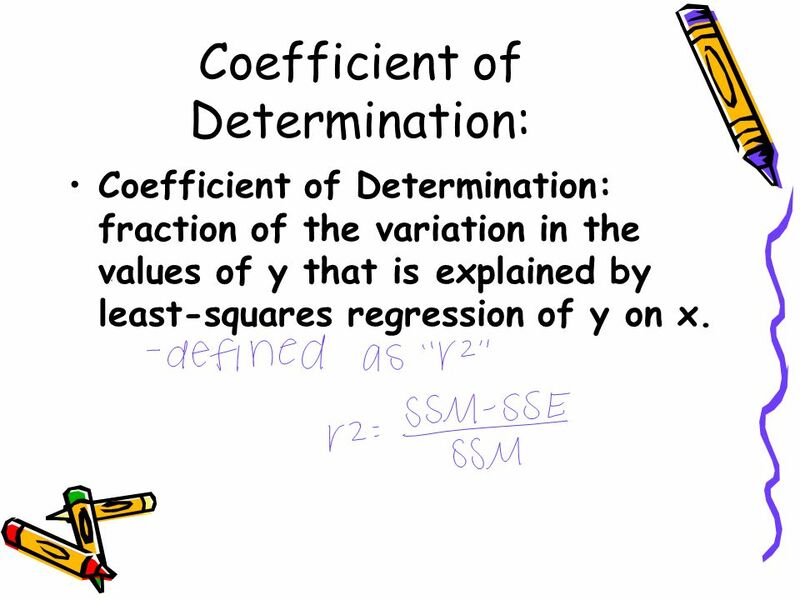 9 Coefficient of Determination: Coefficient of Determination: fraction of the variation in the values of y that is explained by least-squares regression of y on x. 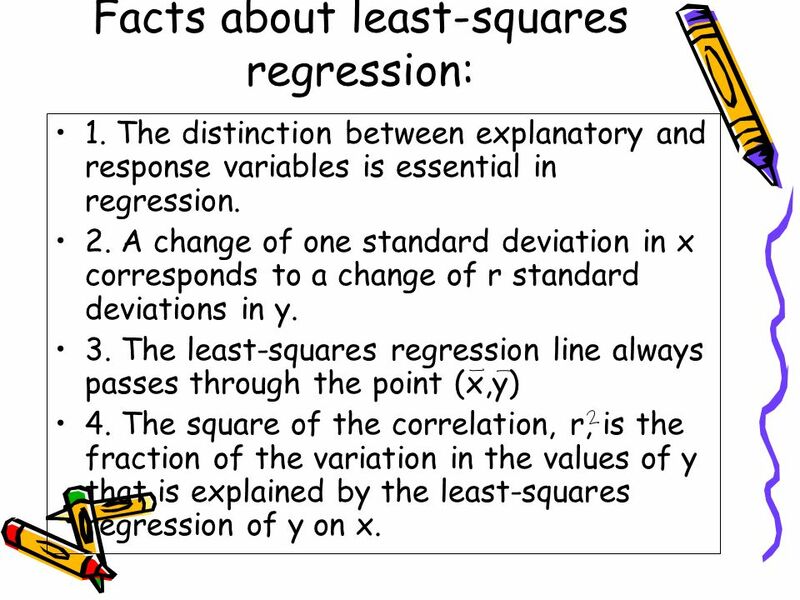 10 Facts about least-squares regression: 1. 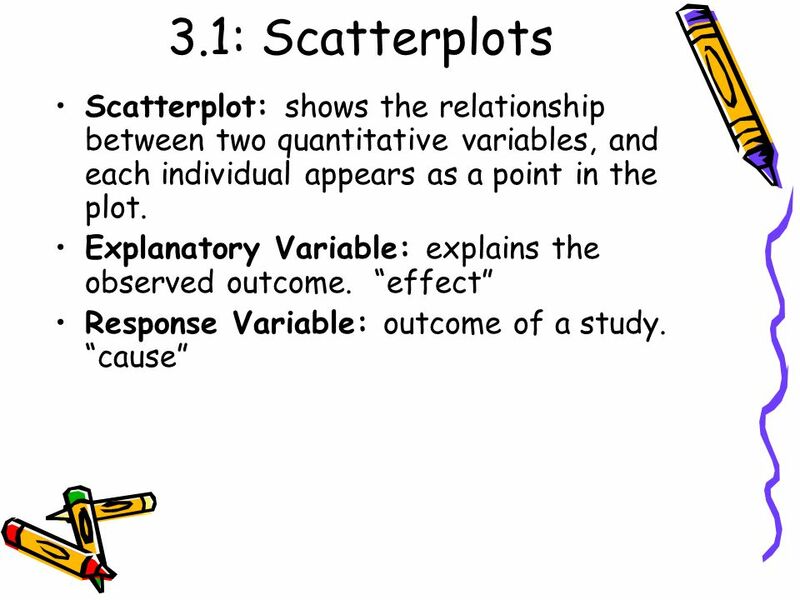 The distinction between explanatory and response variables is essential in regression. 2. 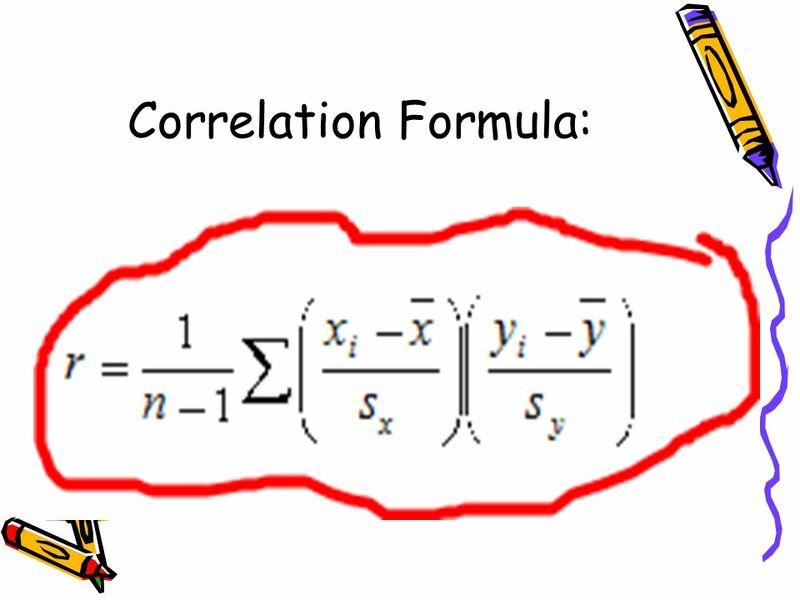 A change of one standard deviation in x corresponds to a change of r standard deviations in y. 3. 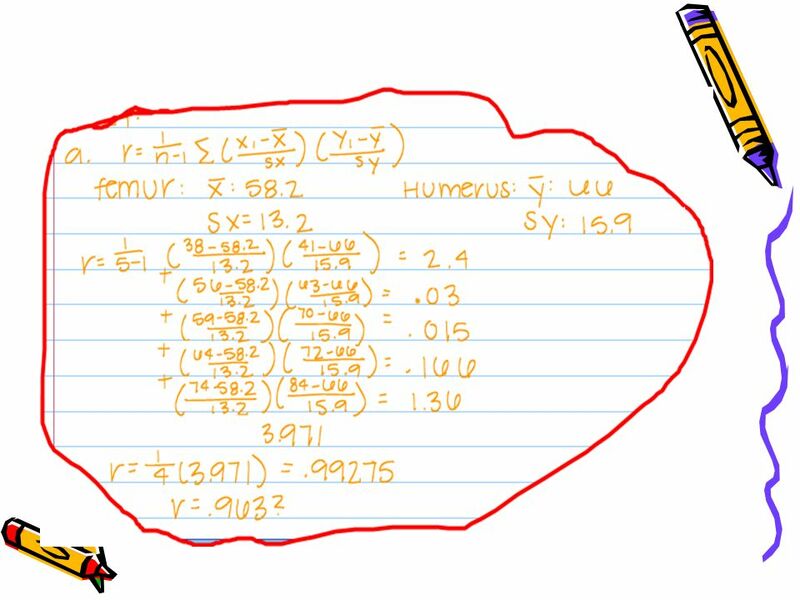 The least-squares regression line always passes through the point (x,y) 4. The square of the correlation, r, is the fraction of the variation in the values of y that is explained by the least-squares regression of y on x. 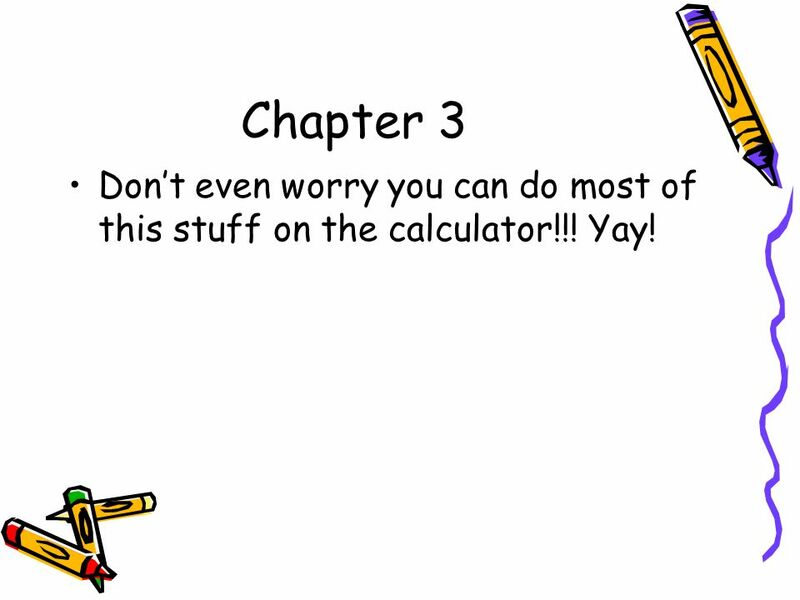 12 Chapter 3 Dont even worry you can do most of this stuff on the calculator!!! Yay! 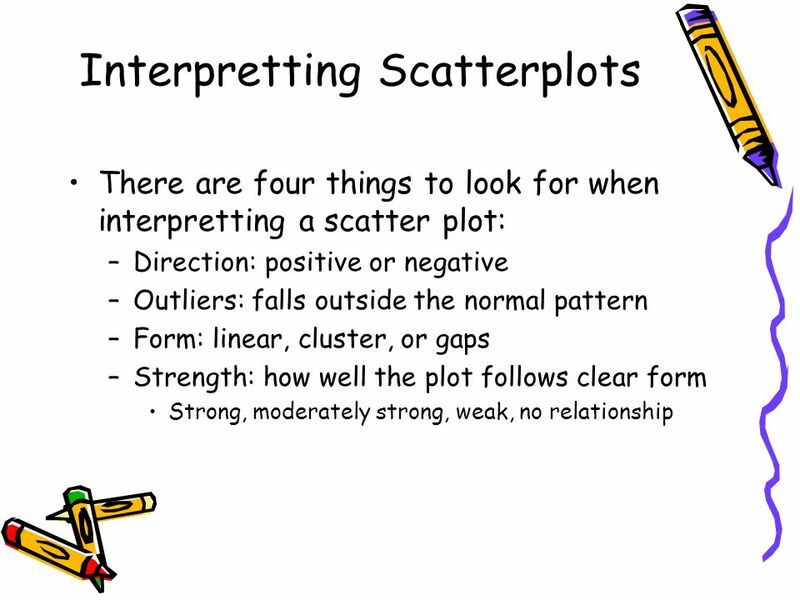 Download ppt "Chapter 3 Examining Relationships Lindsey Van Cleave AP Statistics September 24, 2006." 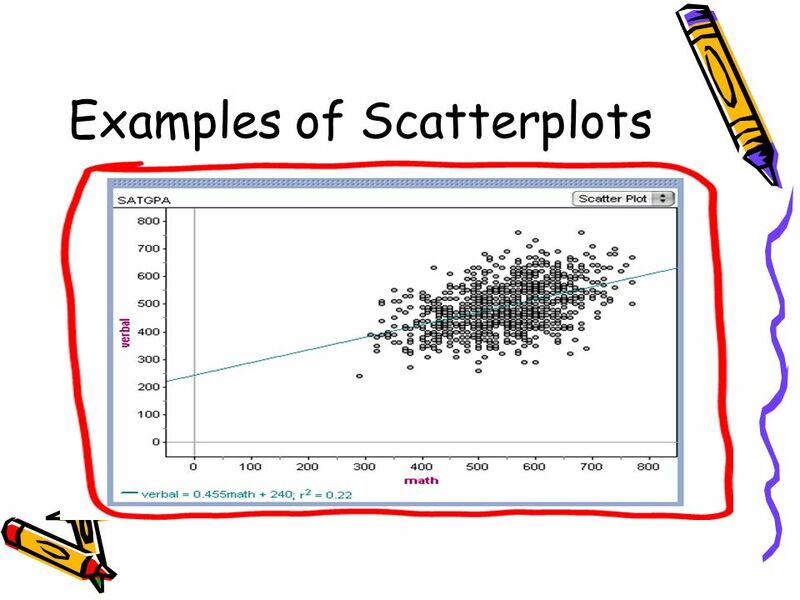 Chapter 8 Linear Regression © 2010 Pearson Education 1. AP Statistics Chapters 3 & 4 Measuring Relationships Between 2 Variables. 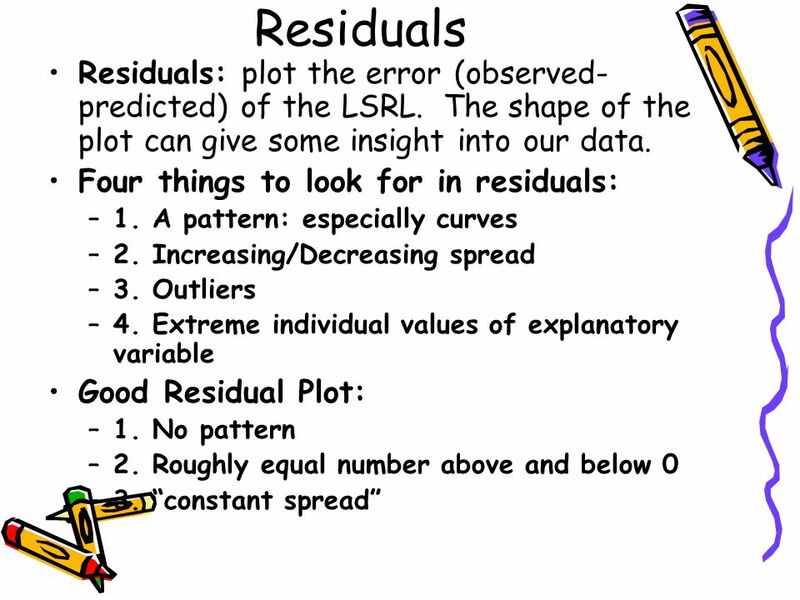 Regression, Residuals, and Coefficient of Determination Section 3.2. C HAPTER 3: E XAMINING R ELATIONSHIPS. S ECTION 3.3: L EAST -S QUARES R EGRESSION Correlation measures the strength and direction of the linear relationship. Describing Bivariate Relationships Chapter 3 Summary YMS3e AP Stats at LSHS Mr. Molesky Chapter 3 Summary YMS3e AP Stats at LSHS Mr. Molesky. Describing Relationships. Least-Squares Regression  A method for finding a line that summarizes the relationship between two variables Only in a specific.